Valmorel is located in the famous Tarentaise region on the edge of pristine alpine forests which cover the side of the majestic Cehval Noir Mountain. A picturesque and charming town, Valmorel is not blighted by the concrete palaces and towers which are characteristic of other major ski resorts in France. The village itself is very traditional with many large chalets constructed using traditional materials including timber and stone. The centre of the village is dominated by a large square which lined with cafes and boutiques to keep you entertained when not on the slopes. But perhaps the best thing about Valmorel is the diversity of skiing and other activities which are available in the region. Valmorel is the ideal location for lovers of mountain sports and nature, being located deep in the mountains of the Tarentaise region. The village sits at the heart of a five village network which includes Doucy, Naves, Celliers and LaLechere-Les-Bains. The combined ski area of these villages extends to around 165km of pistes and contains slopes suitable for all levels of ability. Runs include 14 green, 25 blue 11 red and 5 black. There is also a large Naves Nordic ‘Freeride’ Area which contains a number of Nordic cross country skiing runs. 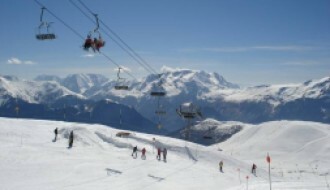 All the slopes can be easily accessed using one of the 50 ski lifts which connect the five villages in the region. The lifts are located on the edge of town where they can be easily accessed by everyone. It also means that the functional architecture of the lifts does not spoil the rather traditional feel of the villages themselves. 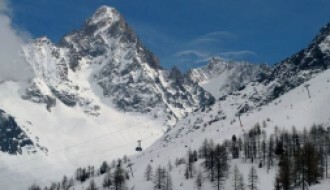 And for 2019 access to the mountains will be improved significantly with the introduction of the new Mottet chairlift. This high-speed 6 person lift will allow skiers to ascend the Col du Mottet mountain in less than five minutes. The view from the top offers stunning views across the Morel valley and a new picnic area will be built to take full advantage of it. After a hard day on the slopes, there is plenty of things to do in Valmorel. There is a large leisure centre located in the centre of the village which is a great place for relaxation and contains a gym, sauna and massage facilities. While the Spa Climes is perfect for a more indulgent experience where patrons can enjoy a number of facial and body treatments including hydro massages and traditional balneal therapies. The village square is where all the action is as far as bars, nightclubs and restaurants are concerned. The nightlife here is vibrant with most bars and clubs open until the early hours. But it is not hedonistic like other resorts in France and Austria which attract a younger hipper crowd. For children under 6 years, the Piou-Piou Club provides a safe monitored play area which contains a wonderful 6-acre snow garden for children to explore. The main chalet has more than 700m2 of play areas, a nap room, library, arts and crafts areas and a large sun terrace which looks out over the mountainside. These facilities make Valmorel one of the best resorts in France for children. With its traditional style architecture nestled on the mountainside, you would be forgiven for thinking Valmorel was a traditional alpine farming village. But nothing could be further from the truth. The resort was developed in 1976 specifically as a ski resort. But learned from the mistakes of other resorts by avoiding the use of high-rise concrete buildings. Traditional Savoyard architecture, characterised by sloping slate roofs, oversized balconies and stone foundations were used instead. This gives the village a more laid back feel than other purpose-built resorts. Valmorel has a traditional small village feel which is perfect for couples or large families to relax and enjoy. But in common with other purpose-built resorts like Val Thorens, the village location was specifically chosen to take advantage of the amazing skiing and hiking trails which are located in the region. Located on the mountainside amidst alpine forests, Valmorel is the perfect resort for couples and families seeking authentic French charm. The traditional style of architecture gives the village a romantic feel, while the excellent facilities make it an ideal family destination. The compact village centre with its boutique shops and trendy cafes makes a welcome change from the chain stores which dominate most ski villages. But perhaps the best thing about Valmorel is that this region still has a lot to offer when the snow melts and skiers have gone. Tarantaise is regarded as one of the best hiking areas in France and contains many hundreds of miles of hiking trails which explore the wonderful sites of Vanoise Park, Beaufortain and La Lauzière. This is good news for those looking at buying a property in Valmorel because any good sized property here will be in strong demand throughout the year. The most popular properties are 3 bedroom apartments large enough to accommodate a large family. The weather in Valmorel is typically cold during the winter and warm during the summer. Being located on the side of a mountain the region gets good snowfall during the ski season which runs from mid-December to the end of May. According to data from the latest snow report, Valmorel received 346cm of snow in 2018 which is just above average over the past five years. According to the latest weather report, Valmorel average temperatures were around 20ºC in summer and -2ºC in winter. The warmest month is July and the coldest is January. You can check the latest weather report in Valmorel with our resort guide here. Valmorel has excellent transport connections being located close to three major airports and a train station. The nearest airport is Geneva which is approximately 2 hrs drive away. Flights are available here to most major European destinations including, London, Paris and Barcelona. Other nearby airports include Grenoble and Lyon which are approximately 3hrs drive time from the resort. 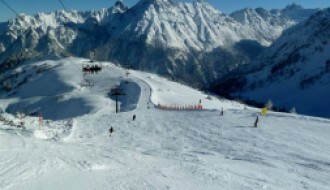 The nearest train station is Moutiers which is approximately 28 mins drive time from Valmorel. Moutiers train station is the gateway to the Rhone-Alps region and is convenient for other major resorts in the area including such as Albertville, Aime La Plagne and Bourg St Maurice. 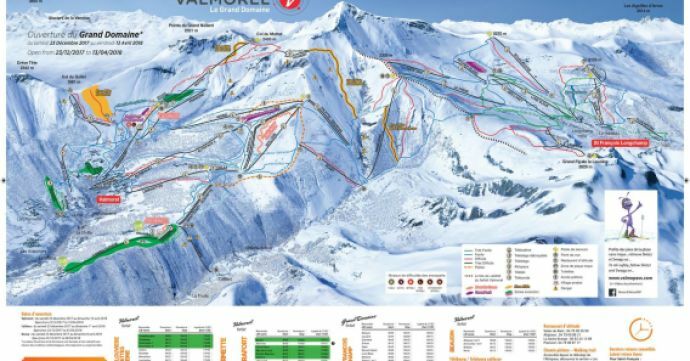 Transfers from the station are available to Valmorel throughout the year.